NFORC is a collaboration between several professional bodies and research organisations. Each one brings a unique insight and skill-set to The Centre. Our partners contribute in four main ways. 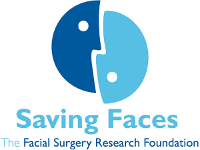 Saving Faces is a charity which has both promoted and carried out research into facial and oral disorders, deformity and injuries for over a decade. They are providing 100% of the funding for NFORC, as well as administrative and research support. If you would like to learn more about the charity or get involved in their patient support and fundraising activities, please visit the Saving Faces website. The intellectual input for NFORC will come from professional surgical societies. Their members, practicing surgeons, are best placed to identify research need, recruit patients and collect data within their surgical disciplines. These national organisations are dedicated to improving standards of treatment and care within their specialities and with NFORC have confirmed their commitment to making quality research an integral part of the surgical culture in the UK. BAOMS is an original founding member of NFORC. It will provide the intellectual leadership for NFORC through its Clinical Effectiveness Committee and Sub-specialty Advisory Groups. Since the inception of NFORC, BAOMS has tirelessly promoted its advantages of NFORC as a unique resource for its members. Oculoplastics is a newly emerging sub-specialty which deals with the structures associated with the eye, including the orbit (eye socket), eyelids and tear ducts. 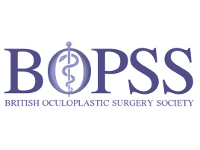 BOPSS will participate fully in deciding which studies to pursue in the field of oculoplastics. The Bart’s CTU (previously the Cancer Prevention Trials Unit [CPTU]) has an impressive track record of developing and running successful clinical trials. They bring significant expertise and resources to NFORC, including experienced trialists, statisticians, IT and quality assurance experts. 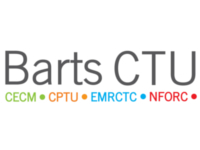 Bart’s CTU is an accredited member of the UKCRC Registered Clinical Trials Units Network. NHS Digital is the UK’s national provider of information, data and IT systems for health and social care. NFORC is working with NHS Digital to develop national registers for head and neck conditions. This involves collecting valuable clinical information from tens of thousands of patients in hospitals throughout the country. This data can be used to identify trends and patterns in diseases, the long-term effectiveness of different treatments, and quality of patient care, ultimately improving care for patients with the same condition. 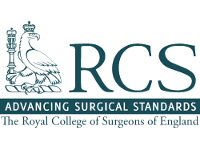 The RCS is a professional organisation committed to advancing surgical standards and improving patient care in England and Wales. In 2012 the RCS launched an initiative to encourage research within the surgical community though five officially endorsed surgical trial centres. NFORC was chosen as the primary centre for research into head and neck disorders in the UK.